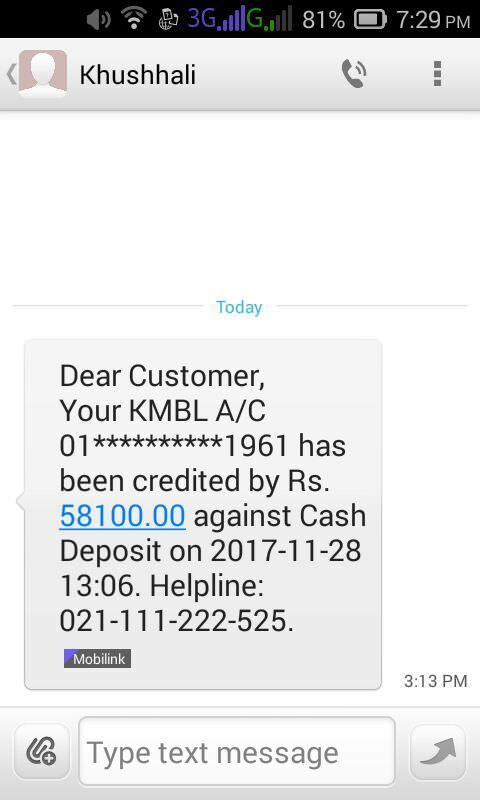 I got this SMS from Khushhali Microfinance Bank today. I was like oh wow got money but the only problem is I don't have an account with them. Never had! Funny thing is I never had account with them or got any loan from them or anything so how they got my number!? Yup if you didn't do any business with them before then they having your mobile number is strange. May be they got your number from a pool like some kind of shared data between banks!